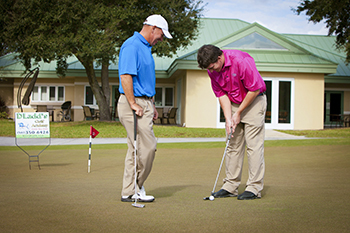 For younger students, David is actively involved in the First Tee Program. First Tee is a nonprofit orginazation whose mission is to help instill nine positive core values associate with golf in the young people of today. Regarding the First Tee Program the values that it advocates are: Honesty, Integrity, Sportmanship, Respect, Confidence, Perseverance, Courtesy, and Judgement. For more information regarding the First Tee Program Click HERE.